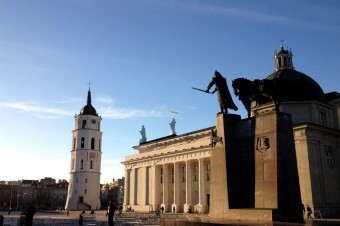 Lithuanians enthusiastically refer to Vilnius as a “big village” because locals are linked to each other by only 1-2 degrees of separation. This rural atmosphere will be felt greatest in Old Town. The first thing you will notice about the city is huge number of churches and basilicas. While wandering around, you won’t be able to miss behemoths such as St. Casimir’s near the Town Hall, St Nicholas’s Church and of course, Vilnius Katedra.